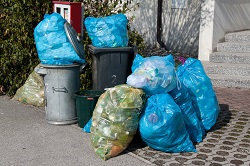 We have all felt the pinch of local authorities reducing the number of rubbish collection visits we receive. This means we all seem to have more rubbish than we know what to do with. This is where we can help you out, because here at Rubbish Removal Watford we would gladly to take on this load. We are running a fast growing Watford waste collection service. We cover most local areas with WD1 being covered daily and with other areas such as WD2 also catered for. We can take all types of rubbish in our junk collection vehicles with no item too big or too small. However, extremely large items need to be properly collected in the correct vehicle to comply with road safety so if you think your items will not fit into a vehicle the size of a standard refuse truck then please call 020 3608 9328 so that our operatives may order the extra-large vehicle for your rubbish collection. We offer various services throughout the WD2 area for either regular or one-off rubbish removal. Our prices offer exceptional value for money as all our services are cost effective and efficient with payment plans and direct debit facilities available upon request. To hear more about these options please call 020 3608 9328 now or contact us through our website link. All our quotes offer a no obligation guarantee and if you try our service and are not completely happy we guarantee to put the problem right within a week. No huge bills, no hidden charges and no small print. Everything is explained upfront with options to add extra components or take things out to suit your requirements. We are happy to offer our WD1 rubbish removal services residentially and commercially as required. No long contracts needed and with no notice needed to cancel we couldn’t be fairer. At Rubbish Removal Watford, we also deal with recyclable materials. All our vehicles are fully equipped to take both standard refuse and recyclable materials alongside each other. This means we have one waste collection appointment for everything, no alternating or separate days for separate collections. Our contracts with re-processing facilities mean you are not lumbered with fiddly sorting. The item is either recyclable or it's not, but it doesn’t matter because we will deal with the whole lot in one go. 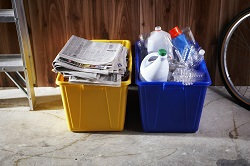 Any items that cannot be recycled will be taken to an authorised refuse facility to be disposed of in the correct way. We also have a fleet of fuel efficient vehicles that are low emission to reduce the levels of pollution. Book our eco-friendly waste removal company in Watford. If your property is located in WD1 and you wish to set up junk removal or recycling please call 020 3608 9328 now. If your property is in any other part of Watford then call our helpful staff who are standing by to personalise our rubbish collection services for you and offer you our current deals. They will complete all paperwork in advance over the phone leaving just a signature required from you. Regardless of whether you are setting up regular collections or just a one-off job, we will still be able to give you the best deal you will find in the area. Our customers are at the heart of what we do and we want you to be pleased with the results.